The FACTory closed for submissions on 12 December 2018. Read about the SHORTLISTED PROJECTS. 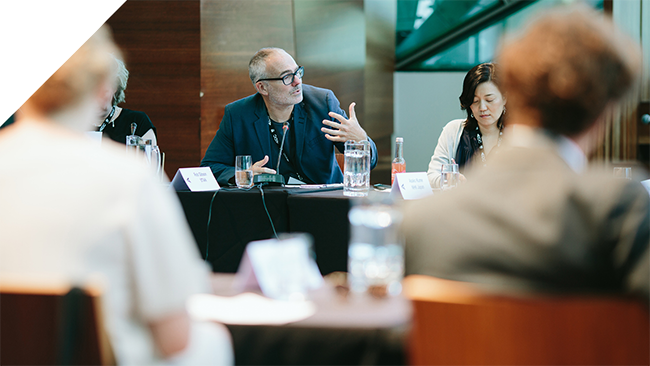 Proudly presented by Film Victoria, The FACTory is AIDC’s annual one-day pitching forum designed to showcase selected documentary and factual screen projects to an audience of local and international Decision Makers. The FACTory provides a unique opportunity for exciting projects with international appeal to be pitched directly to an assembled group of top-level buyers, commissioners, and distributors in a live event setting; receive expert feedback on the spot, and seal financing deals. AIDC is now seeking applications for feature-length documentaries, one-hour singles and series with global appeal in development or production. Submissions are open to a vast array of genres. Previous projects pitched at The FACTory include Richard Lowenstein’s anticipated Michael Hutchence biography Mystify, Annie Goldson’s Kim Dotcom: Caught in the Web, Dan Goldberg’s Food Fighter, and the upcoming China Love, produced by Media Stockade and pre-sold to ABC Arts. 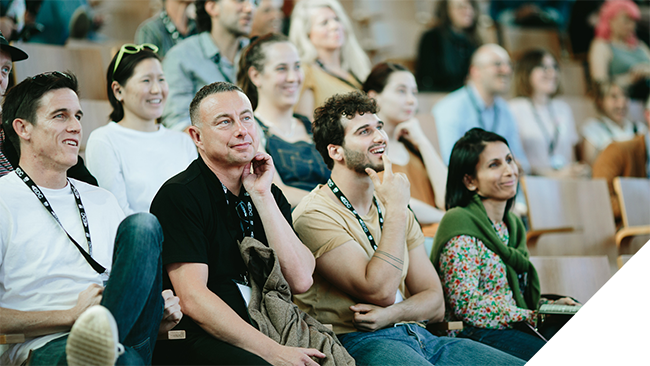 The FACTory International Pitching Forum will take place on Tuesday 5 March 2019 in the Deakin Edge Auditorium, Federation Square, as part of AIDC 2019. Providing visual materials (trailer, teaser, or footage from the project) is highly recommended. Missed out on the FACTory? Check out our program Cut to the Chase, where we match your project to decision makers for one-on-on meetings. Open to all registered All Access and Gold Pass holders. Contact our Marketplace team via pitch@aidc.com.au to with any questions. Check the AIDC website regularly to meet the 2019 decision makers as we announce them! Do you have a VR/AR project? Got an idea for a short documentary? While these project types are ineligible for entry into The FACTory, VR/AR creators should apply for Meet your Maker: XR Marketplace. Short documentary creators are encouraged to contact the Marketplace team to register interest in other market opportunities. Send your name, contact details to pitch@aidc.com.au. Australian and International filmmakers are eligible to apply. Individuals, teams or companies may apply. Applicants must be the rights holder in the work. Projects need to be recognised factual documentary formats intended for broadcast and distribution, i.e. no educational, advertising, news, reportage or corporate projects will be accepted. Entry is open to feature films, one-hour singles, and one-hour and half-hour series at concept, development, or production stages. Short films, half-hour singles, multiplatform projects that do not have a theatrical or broadcast component, and VR/AR projects are not eligible for entry to the FACTory. There is an AUD $49.50 fee to cover handling & administration of your application. Successful applicants will need to confirm acceptance by purchasing an All Access Pass at the early bird rate of $730 (incl. GST) at a maximum of two discounted passes per team. In the case that a financier trigger (broadcaster, national or federal funding agency, institute, or Executive Producer, etc) is already involved with the project, their presence at the pitch is highly encouraged. However, such involvement will not influence the selection of the project. Pitching teams may consist of two people, unless a financier trigger is present, and three people may present the pitch. The final trailer should be between 2 and 3 minutes, and will require the approval of AIDC. Final date for delivery to AIDC is 21 February 2019. Submitting to one of the pitching competitions at AIDC? To help you prepare your best possible pitch, Getty Images have partnered with AIDC to provide you – absolutely free – up to 10 footage clips you can use for your application. The Getty Images online library has over 8 million footage clips on every subject under the sun – from moon landing to wildlife to time lapses of cities and much, much more. You can search by keywords, filming technique, viewpoints and composition, among other options.